I once read that ignorance and indifference are the twin enemies of democracy. The two are likewise the twin enemies of our forestland. It is the educated and responsible woodland owner who preserves the integrity our woodlands deserves. It is our community which reaps the benefits they sow: cleaner air, purer water, abundant wildlife, and revitalized souls. We, as WWOA members, believe our woods are best managed by dedicated families with the power of knowledge. Let us look to yet another example of this belief in action. 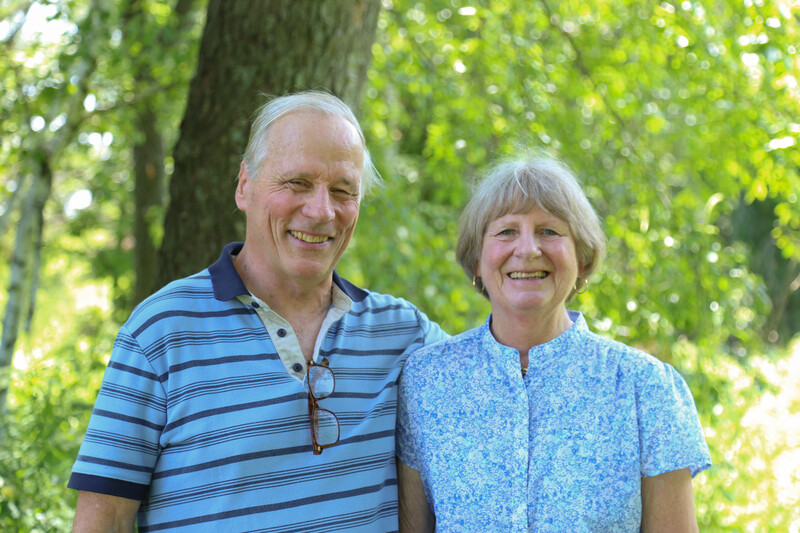 Brent and Deborah McCown manage 157 acres of diverse, hilly uplands in Iowa County. 100 acres consists of maturing deciduous hardwoods, mostly oak, hickory, basswood, and ash. All of the woodlands have been actively managed by the McCowns for about 35 years now and are under the Managed Forest Law. The other 57 acres is Conservation Reserve Program (CRP) grassland, mostly brome grass, but also include about 5 acres of rare remnant short-grass prairie and another 5 acres of planted prairie. Brent explained their management philosophy. “Our theme is diversity, biological diversity that is, as well as aesthetics. We do a lot of work on the understory, small trees and shrubs, which complement the woodlot.” It’s no wonder they enjoy the world in the understory, both Brent and Deborah are professional horticulturists. Brent was a professor at the University of Wisconsin-Madison for over 40 years and Deborah (with Brent’s research) started her own nursery business, Knight Hollow Nursery. Last year Brent and Deborah hosted a Bad Axe Chapter Field Day to share their management techniques. “When all the prep work is done, everyone shows up and we have some good weather field days are very enjoyable.” They took the group on a tour through their land, which has over five miles of trials; a leftover from a logging done about 30 years ago. “The logger did a marvelous job; we do our best to maintain the trails.” The McCowns shared their expertise on the ecological and aesthetic importance shrubs can add to woodlands, as well as advice on managing prairies, demonstrations of oak wilt, and lessons on tree, shrub, and wildflower identification. Brent and Deborah, like all WWOA members, have the love and dedication it takes to preserve and expand the health of the land. There are a lot more private woodland owners throughout Wisconsin who share the same values; they might just lack the resources, knowledge, or inspiration. Wont you join us on our mission to reach all Wisconsin’s private woodlands? Reach out to your neighbors and invite them to a field day, place the WWOA brochure (which is always available from the WWOA office upon request) around your community, and together let us continue to share our passion of sustainable forestry for today and tomorrow.